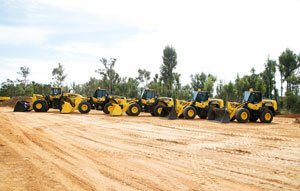 Komatsu has launched an unprecedented 25 new machines, including excavators, loaders, trucks and graders, at an event in the Hunter Valley, NSW. The record number of new release machines comply with US Tier 4 Final emissions regulations, reflecting Komatsu’s focus on the development of low emission, fuel efficient engines. Komatsu’s new generation engines incorporate technology to reduce emission levels by 90 per cent compared with the previous Tier 3 equivalent machines, according to Komatsu Executive General Manager, Construction Dean Gaedtke. “At the same time, Komatsu has introduced new electronic control systems throughout the new machines that ensure engine power, hydraulic requirements and transmission output is optimised – resulting in fuel consumption savings of between 5–15 per cent – depending on models and applications,” Mr. Gaedtke said. The new Tier 4 Final engines include several technology innovations that help achieve the stringent requirements of this standard, as well as lowering fuel consumption, Komatsu General Manager Construction and Utility Charles Wheeldon added. “They incorporate Komatsu proprietary technologies developed over many years to reduce emissions levels,” Mr. Wheeldon said. The technologies introduced in the new engines include: a heavy-duty after-treatment system; an advanced electronic control system; a heavy-duty cooled Exhaust Gas Recirculation (EGR) system; a Komatsu Variable Geometry Turbocharger (KVGT) system; and a heavy-duty High-Pressure Common Rail (HPCR) fuel injection system. 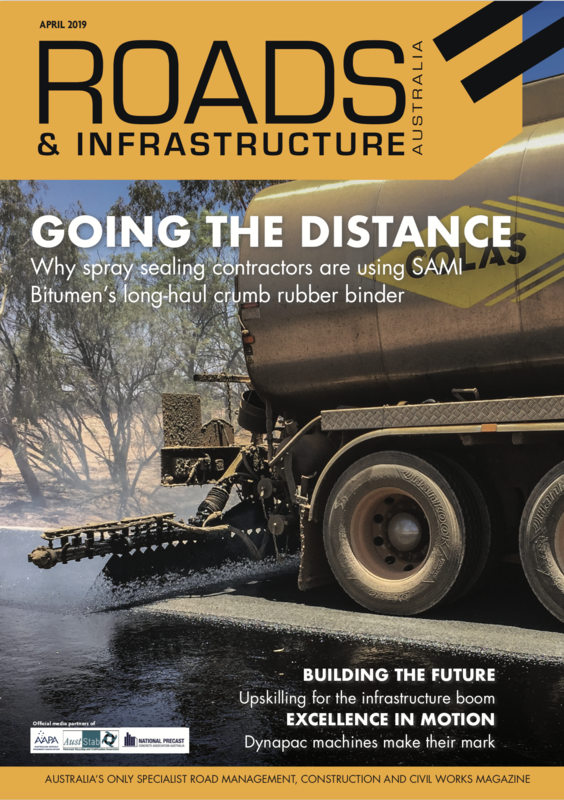 Mr. Wheeldon said the latest KOMTRAX Step 5 telematics-based remote monitoring system on the machines gave owners and fleet managers unprecedented visibility and up-to-date operating data on their equipment. “It’s the most sophisticated version of KOMTRAX to date, designed to provide equipment managers with data that increases their peace of mind, knowing that the advanced technologies incorporated in today’s equipment are working reliably to deliver operational efficiencies,” he said. The Tier 4 Final-compliant machines launched by Komatsu include: PC30MR-5, PC35MR-5, PC45MR-5 and PC55MR-5 short-tail mini excavators; PC78UU-10 and PC88MR-10 short-tail midi excavators; PC138-11 and PC228-11 short-tail construction excavators; PC240LC-11, PC290LC-11, PC360LC-11, construction excavators; PC490LC-11 heavy construction/quarrying excavator; HB215LC-3 and HB335LC-3 fourth-generation hybrid excavators; A PC360LCi-11 featuring the intelligent Machine Control system – and the largest excavator with this system; WA270-8 and WA320-8 hydrostatic drive tool carrier loaders; WA380-8 and WA470-8 general purpose loaders; and WA500-8 and WA600-8 production loaders; GD655-6 grader; HM300-5 and HM400-5 articulated dump trucks; HD405-8 and HD605-8 rigid frame dump trucks.